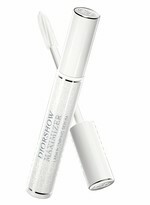 This is the current lash serum/conditioner/ primer that I have been using (Dior Maximizer Lash Serum) . It was a birthday gift from a friend so it was not purchased by myself. 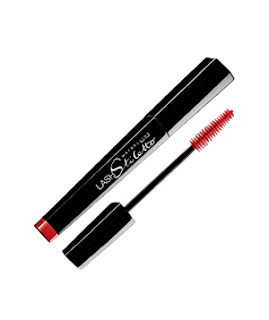 I like it, I have also used other lash conditioners such as the Loreal lash serum and the Talika Lipocils. I think I had an allergic reaction to the Loreal one but I LOVED the Talika Lipocils lash conditioner, probably even more than dior's lash serum. But I am waiting to get it after I am done using the Dior lash serum. The application is very simple you just kind of apply it everywhere on your top and bottom lashes. I am currently using the Shisheido Lash Curler but I like the Shu Uemura gold lash curler better but the one that I had was way too old and stopped working correctly. 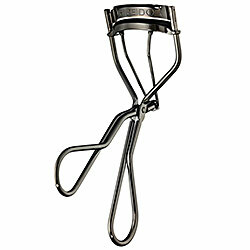 When curling lashes remember to curl at the root, middle, and tip of the lashes, for a curved shape. This will keep you from having lashes that only sticks straight up. 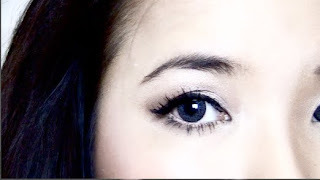 I usually hold about 10-15 seconds at each spot of my lashes. The left picture is before and right picture is after my lashes are curled. This is my current favorite cheap drug store mascara. It is the Maybelline's Lash Stiletto. It works very very well. 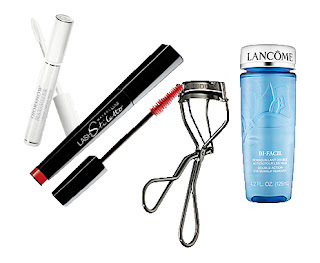 My high end favorite is Lancome Definicils. I think the two accomplish about the same results, that is why I am using the cheaper of the two brands. 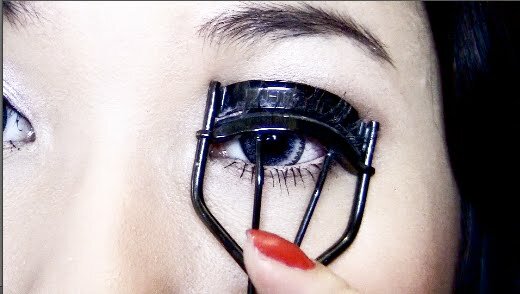 When applying mascara to your bottom lashes first use the tip of the wand to get every single lash and get in the areas that are hard to get into. Then use the whole wand, with the zig zag motion to evenly coat all of your bottom lashes. My left bottom lashes have nothing on them; where as, the right bottom lashes are applied with mascara (top). Both of my bottom lashes are coated with mascara (bottom). For my top lashes I like to use card stock underneath to avoid the mascara from getting on my skin. I use the tip of the wand to get in to hard to get areas and to remove clumps. 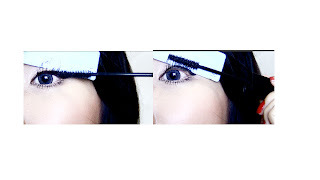 The tip of the wand can also be used for the tips of your lashes, to elongate them. 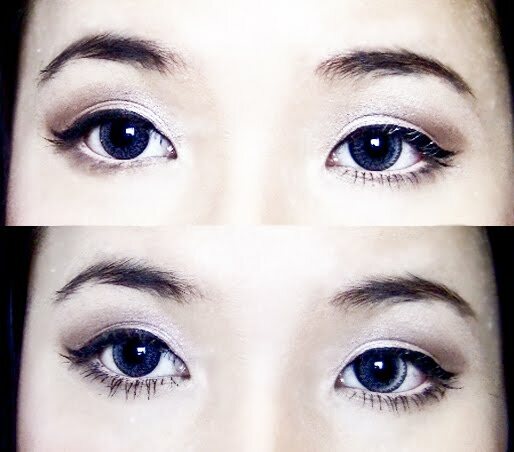 Then I would either use a rolling outward motion or a zip zag motion to coat all of my lashes evenly. 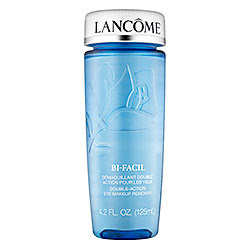 The Lancome Bifacil is my current favorite makeup remover. I think it is worth the price. It removes all of my makeup and also moisturizes my skin. I use this to remove makeup before I go to bed. I usually take a folded piece of toilet paper or cotton ball, apply a small quarter size amount and then apply it on to my face. I also like proactiv's makeup wipes, they do get the job done especially when I am super lazy. You should try Nuance eye make-up remover from Salma Hayek. It's only available at CVS, but I highly recommend!!! It contains Cucumber and rosewater. I have tried soooooo many eye make-up removers to just be disappointed! This works and it's cheap, also softens.﻿ It's on sale buy 1 get 1 50% of this week. My favorite remover is EXTRA VIRGIN OLIVE OIL. If﻿ it feels too oily, i mix in with a little bit of water and it dilutes it. It gets rid of my liquid foundation & waterproof mascara! Ohh nice. Makes me want to try out Maybelline's Lash Stiletto mascara now, hehe.. Btw What lenses are you wearing? where did you get your contacts?